Bryan McCann, author of João Gilberto and Stan Getz’s Getz/Gilberto, is guest-blogging for us all week. Today he delves into the relationship between bossa nova and politics, asking: what hope does the music hold for Brazilians in the current political climate? Getz/Gilberto was recorded in March of 1963 but not released until late February of 1964. By the time it came out, Brazil was in the midst of political crisis: tens of thousands of citizens took to the streets of Brazil’s major cities, demanding the ouster of President João Goulart. In the March of the Family with God and for Liberty in São Paulo on March 19th, they gathered to accuse Goulart of capitulating to communist radicals, and warned that Brazil was on the verge of going the way of Cuba. On March 31st, right-wing officers overthrew Goulart in a coup, initiating a dictatorship that was to last twenty-one years. The plaintive romantic music of Getz/Gilberto was decidedly out of step with the times. This explains why the album and its hit single, “The Girl from Ipanema”, rocketed up the jazz and pop charts in the US and Western Europe but were largely overlooked, if not outright resented, in Brazil. 54 years later, Brazil has once again lurched suddenly and painfully to the right, with the election of Jair Bolsonaro to the presidency this past October. Bolsonaro is the politician who looks back wistfully at Brazil’s long military dictatorship and its suspension of civil rights and wishes he could bring it back, who thinks Chile’s military dictator Augusto Pinochet was on the right track but should have killed more people, and who appears to nurture a visceral hatred for members of LGBT, black, feminist, and indigenous movements. What Bolsonaro means for Brazilian popular music and vice versa is not Brazil’s most pressing political question. But given the centrality of Brazilian popular music to politics for the past half-century, it is a question that arises frequently. And its answer may well imply a reappraisal of bossa nova, and perhaps of Getz/Gilberto, in particular. Bossa nova had a fraught relationship to Brazil’s political left during the turbulent 1960s. As polarization intensified before the 1964 coup, and particularly in its wake, Brazilians on the political left demanded engaged popular music. They gravitated to musicals like Pobre Menina Rica of 1963 and Show Opinião (Opinion Show) of late 1964, each of which combined bossa nova, more traditional Brazilian rhythms, and denunciation of inequality and oppression. Some bossa nova performers, like singer Nara Leão, guitarist/composer Carlos Lyra, and lyricist Vinícius de Moraes, cast their lot decisively with the politically engaged crowd. Their music formed the basis of what became known as the esquerda festiva, or festive left, by the end of the decade. The adjective referred initially to the music festivals that constituted the arena for competition and demonstration of this segment of the political left, but also referred to their belief that change could come through celebration and joyous connection, rather than through militancy or armed struggle. Other bossa nova icons, like composer/pianist Antonio Carlos (Tom) Jobim and guitarist/singer João Gilberto, eschewed overt political statements, and avoided partisan struggles by spending much of the decade outside of Brazil. Ironically, this made them even more crucial to the political image of Brazil abroad. 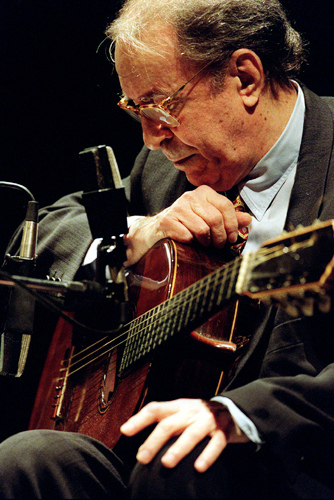 Jobim and Gilberto represented Brazil’s soft power. They conveyed an implicit message that the real Brazil was not the Brazil of the military regime, of the grim-faced soldiers meting out violence on workers and students, of the cold-eyed officers ordering extrajudicial arrest and torture from within their closed chambers. The real Brazil was the Brazil of subtle rhythm, aching harmony, and gentle seduction. This implicit message may have been oversimplified but it was enormously powerful and enduring. 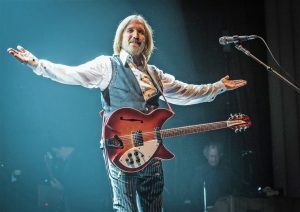 The music of Show Opinião spoke to the concerns of the moment but none of the twenty-four songs in the show remains well-known. The music that Jobim and Gilberto made together, in contrast, remains central not just to the image that Brazil projects abroad, but to Brazilians’ sense of themselves. Fast forward 54 years to Bolsonaro, an apoplectic hard-liner spoiling for a fight. Bolsonaro disdains soft power. He is the kind of politician who seems itching to paint himself into a corner in order to justify making a mess. With the combative Bolsonaro in charge, conflict and aggression are likely to be the order of the day. But there is a popular Brazilian saying that “a esperança é a última que morre”: hope is the last to die. And bossa nova exudes hope, not the wide-eyed hope of innocence, but the hard-won hope of experience. Brazilians will need more than bossa nova to endure Bolsonaro. They will need mobilization, investigation, and courage. But they will also need the hard-won hope that Brazil has risen from the ashes before and can do so again. As Gilberto sings on the Ary Barroso classic, “Pra Machucar Meu Coração” on Getz/Gilberto, “A vida é uma escola, onde a gente precisa aprender / a ciência de viver pra não sofrer.” (Life is a school in which we must learn the science of living in order not to suffer.) The remedy for life’s suffering is more life. This is the essence of bossa nova—a music that offers the hard-won hope of once again embracing soft power rather than hard weakness. João Gilberto and Stan Getz’s Getz/Gilberto by Bryan McCann publishes on Thursday. Read more about it here.